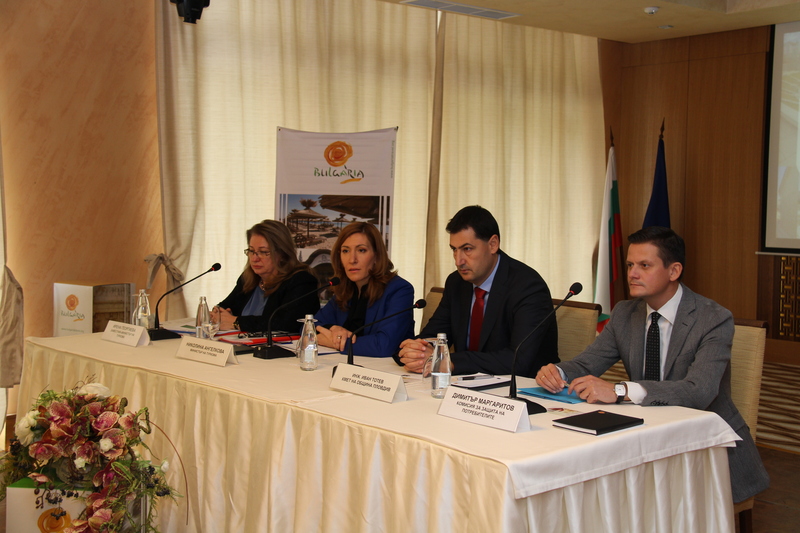 We expect nearly 800 thousand foreign tourists to visit Bulgaria in November and December. Preliminary data show an increased interest for the winter season by a number of important markets and the expected growth for the season is between 4,5 and 5%. This was announced by the Minister of Tourism at a meeting of the National Council on Tourism held in Plovdiv, which discussed the results of the summer season and the preparations for the forthcoming winter season. 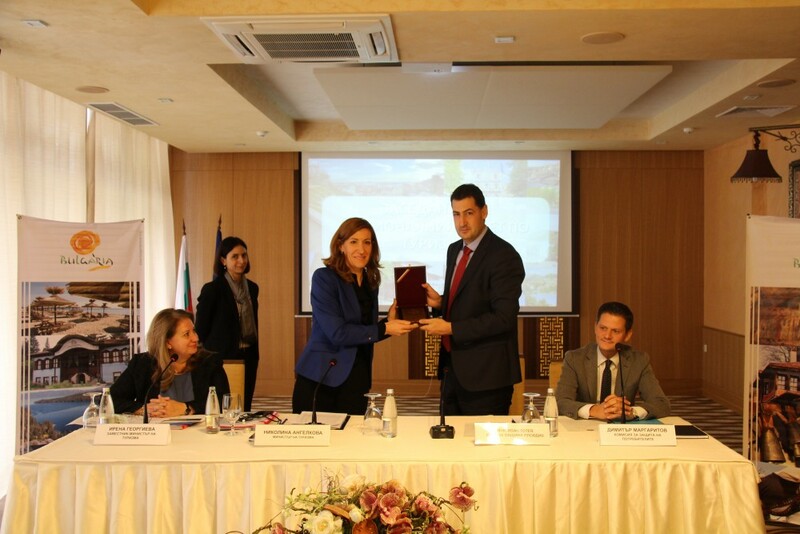 It was attended by the Mayor of the municipality Ivan Totev, the Chairman of the Commission for Consumer Protection Dimitar Margaritov, representatives of the Bulgarian Food Safety Agency, the National Revenue Agency, the Ministry of Interior, ministries and municipalities, the tourist industry, national resorts etc. “Taking into account the booked flights, we can say that there is a 24% growth from the Russian market, 20% from Israel; 74% from Ireland,” said Nikolina Angelkova. According to her, there is an increased interest from the United Kingdom as well. Romania, Greece, Turkey and Macedonia also traditionally prefer Bulgaria for the winter vacation, she pointed out. In the framework of the meeting of the National Council on Tourism, the inspections planned for the next season were also discussed. Each of the representatives of CCP, NRA, MoI and BFSA presented a report of the summer activities of the relevant institution and a plan for the winter inspections. “It is crucial for all of us that the users of touristic services receive a high-quality product, so we will be uncompromising in the inspections”, underlined Minister Angelkova. She announced that the inspections of the accommodation facilities and food establishments will continue. From the beginning of the year the Ministry of Tourism has made around 1,000 inspections. “As an administration, we will not tolerate any infringements. We are ready to start a procedure of taking away a start from any hotel that regularly breaks the rules. We already have one such case in Veliko Tarnovo and most probably it will not remain isolated,” said the Minister of Tourism. Particular attention was paid to the Ordinance on the safety and information security of the ski runs in the Republic of Bulgaria. It entered into force on 1 October 2015, but this season will be the first of its full implementation. 52 ski slopes have been categorised under the ordinance and joint teams of the MT and CCP will monitor the information security and the observance of the safety requirements on the slopes in the new season. During the official opening, Minister Angelkova presented the mayor of Plovdiv Ivan Totev with a honorary placard on the occasion of the 10th year since the opening of the Tourist Information Centre in the town and for the efforts of the municipality to develop the tourism in the region. “By the end of the year we will surpass half a million of overnights on the territory of the municipality. If we compare these numbers with the levels from 5 years ago, we will see that they have doubled”, said the mayor and thanked the ministry of tourism for the good work. The CCP reported a general drop in the infringements in the field of tourism and presented a report of their activity in 2016. There have been over 5,000 inspections since the beginning of the year to this moment and offices will be opened in the big winter resorts for the busy season, pointed out Dimitar Margaritov.